Did you know all breasts are lumpy? The first time I tried to do a self- breast exam was going to be the last time and I'll tell you why… NO ONE TOLD ME BREASTS ARE SUPPOSED TO BE LUMPY! I thought detecting a lump was bad. So I'm in the shower and I start this self- breast exam. The first thing I feel is a lump. In fact, I'm feeling all kinds of lumps and I realize it's either "too late" or I have no idea what I'm doing. I'm thinking surely these aren't all cancer, but how on earth could I ever tell the difference. I was honestly so overwhelmed with anxiety in that moment as an early 20 something that I stopped and I put the idea out of my mind. I just kind of assumed from then on that my breasts were too lumpy for a self-breast exam to be beneficial for me. Fast forward several years and I'm talking to Dr. Kim Suppes, an amazing breast surgeon I admire and respect about early detection, and she says "the biggest problem with self-breast exams is most women don't realize breasts are supposed to be lumpy and bumpy." Stopped me in my tracks, because yes- that's me. She continues, "It's important to do a self-breast exam often enough for you to become familiar with your lumps and bumps so you can tell if something has changed." This was a major ah-ha moment for me! Don't be afraid of feeling lumps and bumps in your breasts. It's natural and normal breast tissue. Take the time to become familiar with the lumps and bumps unique to your breasts. 1 out of every 8 women will experience breast cancer. 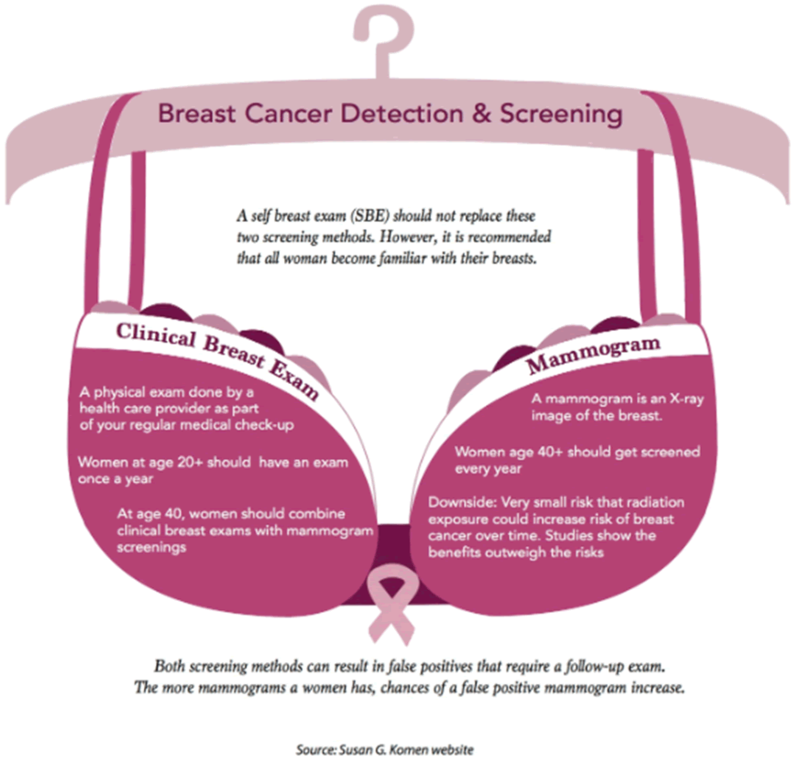 Early detection is the most important tool we have. To learn more about breast cancer, check out the FAQ videos from Dr. Kim Suppes.